Inshore and offshore trips available. Day cruises to Fernandina, St. Augustine, Jacksonville and home Jaguar games, as well as the Florida-Georgia game. 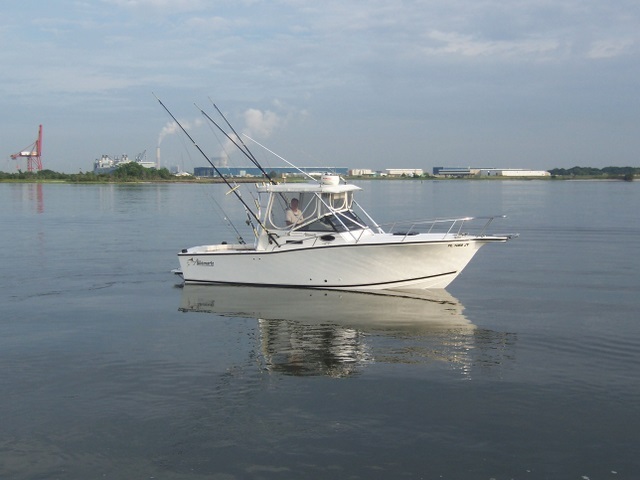 Inshore: One to four person, fishing the quiet, tidal marsh creeks and intracoastal waterway aboard the Kat-Man-Tay II/2 Carolina Skiff. Best fishing for the shallow water trips are in the fall, winter and spring. During the summer we search deeper water in the intracoastal and St. Johns river. 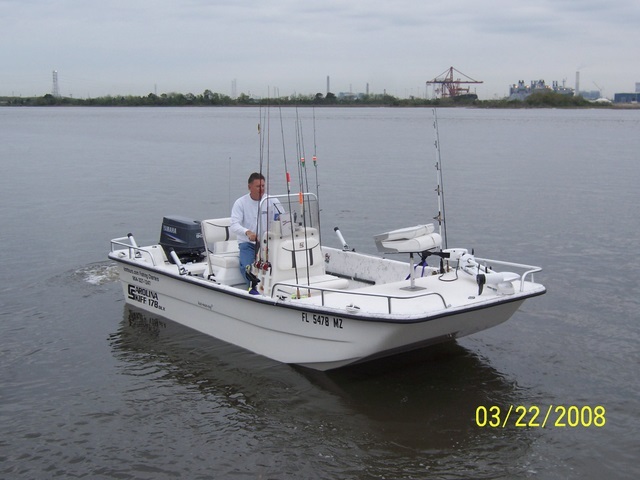 Offshore: One to four person, “near” offshore trips, up to approx. 35 miles offshore, fishing the local wrecks and reefs off Jacksonville aboard the KAT-MAN-TAY II, 26′ Albemarle with on board restroom. As available, one to four person bluewater or “ledge” trips, as it’s known, approximately 55 nautical miles from the St. Johns river mouth. If the weather does not permit an offshore trip, we can always fish the Kat-Man-Tay II/2 flats skiff inshore as a backup plan. Day Cruises:The Kat-Man-Tay II is also available for day cruises to Fernandina, St. Augustine, and Jacksonville, including the Jaguar’s home games as well as the Florida-Georgia game. Just call and we’ll pick up your party and off to the ball game we go. Sunset cruises available also. Check out the beautiful Scenery in our Photos Section that yield good trout in the cooler months. License, bait, and tackle furnished for all inshore and offshore charters.